Cagnoncles is a village in the Department of the Nord, 5 kilometres east of Cambrai. 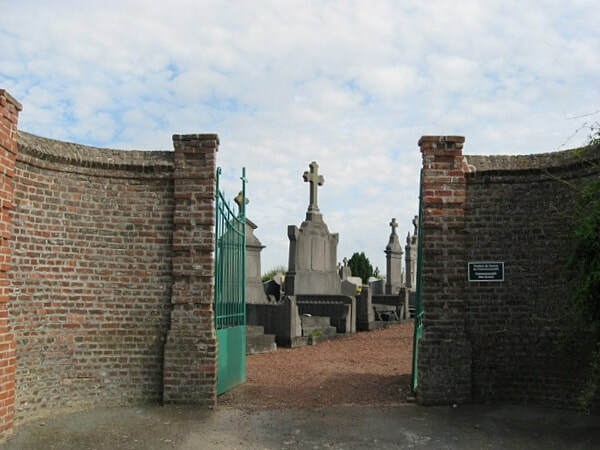 On the east side of the Communal Cemetery are the graves of soldiers from the United Kingdom. 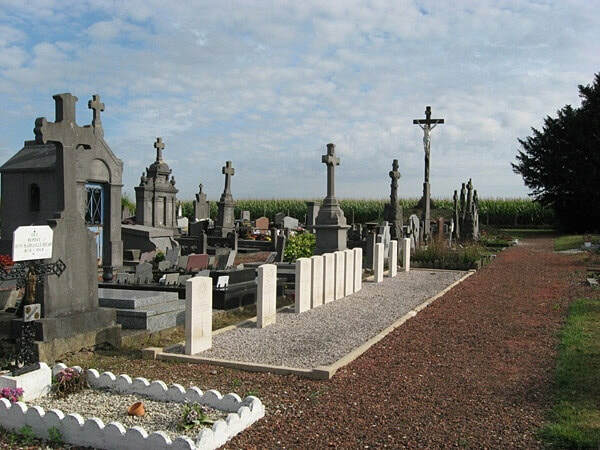 The soldiers buried in this cemetery, fell in October, 1918, and were buried by the 13th Middlesex. There are 11 Commonwealth burials of the 1914-1918 war here.